This time around, no one has disputed the authenticity of the Twitter account. No one in Tehran seems upset about Rouhani establishing his credentials as a ‘Jewish-friendly’ Iranian president. Nor is there a need for his aides to scramble to defend him. However, curiously enough, Sunday’s message was not in Persian as it was in 2013. 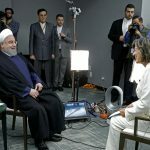 Rouhani meant it on Sunday for the consumption of the ‘international community.’ A cursory look at the American and Israeli media would show that he scored a PR hit. Indeed, Iran is doing well to project ‘soft power’ into the American Jewish homes. Rouhani’s outreach takes into account the American Jewish community’s larger-than-life influence. 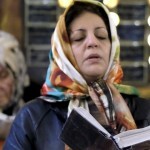 Iran needs all the help it can secure in the American opinion. The three-decades old US propaganda has done colossal damage to the American public’s understanding of Iran. It cannot be undone easily, but Rouhani thinks a serious beginning needs to be made. The American public never ever got to know that Rouhani, after coming to power, allowed the Jewish schools in Iran to be closed on Saturdays to mark Shabbat, the day of rest. But then, the American public wasn’t even aware of the existence of Jewish schools in the land of the Ayatollahs. The info would have jarred against their stereotyped image of the Ayatollah. 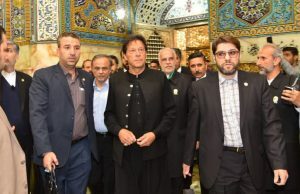 Most certainly, the American public didn’t know that despite the harsh US sanctions against the Iranian economy, Rouhani still somehow found the money to allocate the princely sum of $400,000 to a Jewish charity hospital in Tehran. Again, probably, not many outside the US state department were allowed to be privy to the knowledge that Rouhani’s entourage to the UN General Assembly in New York in 2013 included Iran’s only Jewish lawmaker. What Rouhani has done is in consonance with Iran’s official policy, which targets ‘Zionism’ but would have nothing against the Jewish people. Any perception, therefore, that Rouhani’s Rosh Hashanah greeting implied that he is a dissident-president would have no basis. 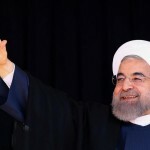 The American commentators often tend to take a view of Rouhani that neither does justice to the personality nor to the Iranian system of policymaking. Some even pit Rouhani against the Supreme Leader Ali Khamenei as an alternate source of power in Iran. 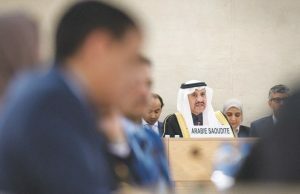 From such a perspective, there is often a tendency to view the upcoming elections in February to the Experts Assembly and the Majlis as epochal events. However, that is going overboard. No doubt, Experts Assembly and Majlis are powerful bodies. The Experts Assembly supervises the Supreme Leader’s performance and can even remove a Supreme Leader, apart from being the body to eventually appoint the next Supreme Leader. The Majlis, on the other hand, apart from conducting the legislative business as any other elected parliament, has a vital say in the appointment of government ministers and enjoys the prerogative to review their performance, conducts public hearings of such high calibre on policy issues that would render speechless Senator John McCain. In the ultimate analysis, Rouhani is a key player in the political ring alongside other key players and/or factions and the domestic politics is highly dynamic. The Supreme Leader Ali Khamenei is above politics. As we have seen, he robustly backed Rouhani and Foreign Minister Mohammed Zarif during the nuclear negotiations with the US. It gave the negotiators all the political support they needed. But it is no less consequential that the Supreme Leader insists today that the Majlis must now fulfill its prerogative to examine and pass verdict on the actual finished product that Rouhani and Zarif negotiated. To be sure, there is going to be sharp criticism about the nuclear deal in the Majlis. 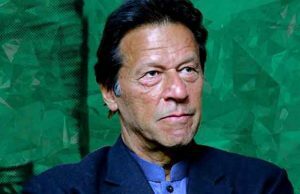 Equally, the nuclear deal will be a hotly contested issue in the campaigns for the February elections. But having said that, the nuclear deal is not the only issue in the campaign. Already it is apparent that life is moving on in Iran. 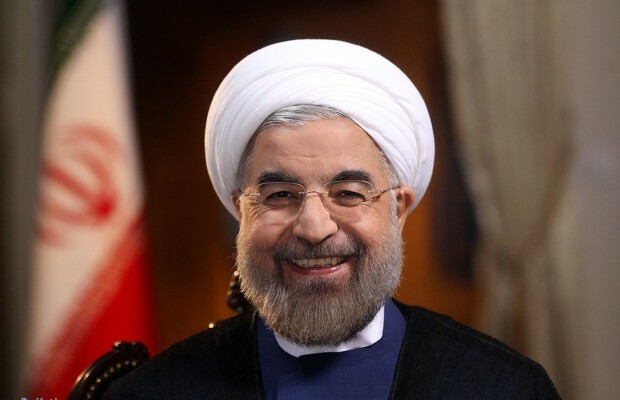 It is a far-fetched notion that Rouhani heads a ‘bloc’ and if his ‘bloc’ secures a majority in the Experts Assembly and Majlis, he would prove to be another Tony Blair (who hijacked the Labor Party to embrace Thatcherism) – delivering Iran as a junior partner to Washington. But even if it is the case that a fair number of people who are in sync with Rouhani’s thinking become MPs or join the Experts Assembly, the fundamentals of Iranian policies cannot change. Factionalism is endemic to Shia politics. It is not possible for Rouhani to ignore the factional politics and become a dictator. The checks and balances built into the system are precisely meant to forestall any single personality aggrandizing power and decision-making or any foreign power infiltrating it to undermine the foundations of the Islamic regime. Thus, if politics is the art of the possible everywhere, it is more so in Iran.